In the early 2000s, the slogan of under construction was easily visible in websites. In 2017 and beyond, the trend of under construction slogan is converted into coming soon page. Coming soon pages are thoroughly designed to grab the attention of the customers and instil that curiosity in their mind that make them come back to the website, after the launch of the page or product. This way, coming soon page harness a huge potential of customers acquisition with its systematic and well crafted designing. In this competitive arena, coming soon pages are highly relevant to create a much needed buzz to expand the exposure of the business or the product within customers. Today, max marketers use coming soon pages to grab the attention of the customers and provide them a sense of urgency and curiosity for the launching experience. Be it small or big marketer, ecommerce ventures and other diverse industries are taking the use of coming soon pages for bringing the customers to them. Developers from top website development company in jaipur believe that letting a countdown in a coming soon page will enhance the anticipation of the customers. They will be assured that a launch date is fixed and how much time will it take to hit the market. If you really want your offering to be a great hit than keeping the customers in loop is highly necessary. The online platforms are bombarded with various kinds of information coming from news, emails, social media etc. It becomes highly difficult to remember about every information. If you are setting up a coming soon page in your website or app , make sure to attach a email form in it. This way can get email address of interested customers and you can intimidate them once its launched. These emails can bring an instant traffic rush in your new launched page, hence, better conversion. If you brand is highly established within your targeted customers, you can use your coming soon page for presale your product or avail some amount of discount. This way an additional revenue is easily generated which can help in finishing your coming soon page or product manufacturing even more faster. But this idea is only hit when your brand holds monopoly over your offerings. Experts from coming soon page designing services suggest the brand’s motto can be easily translated within coming soon page for making customers connection. Make sure to display logo and design the page based on the personality of the brand. Coming soon page should be designed in a way that reflect what the website or app is about. Coming soon page should not be stuffed with content, however, it should mentioned why people should be eager for the page or the product. For example, if you are launching a online marketing company, which will provide free advice to small marketer who subscribe the email. Most of the time putting things in simple words like signups, buy now may not create result which can be easily obtained while mentioning it in different way. You may turn your content or call to action sounds like privilege, validation, curiosity etc. Using videos is ideal to grab the attention of customers for longer. A video showcasing product or testimonials etc create a persuasive proof to create a much needed buzz. Videos are a great way to introduce the brand or the product to the customers. After gathering email address and launching the website or the app page, it is important to offer something enticing to customers. These can be freebie, valuable piece of information or something else that will make customers to come back. Use email to address all the customers that are registered to come and see the launched website or app and get something valuable. Coming soon page is not a static, stagnant page. It is meant to act like a marketing tool that helps in creating a buzz within targeted customers base and entice them about what is expected to come. Creating a great a coming soon page requires combination of elements stated above for better performance. Logo Designing: How To Create An Effective Real Estate Logo For Your Business? A logo has a lot to offer to any industry. It act as a central idea about your brand or business, hence, it should be designed in way that replicate your brand needs. A strong and well designed logo can prove to be an asset for a brand. In order to create a unique and memorable logo design, it is important that the brand idea personality should be clear to the designer. Your brands personality: how do you want your customers perceive about your brand? What kind of value you can provide to the audience? Are you technically sound, simple,trustworthy or fun or exclusive? All these and many more information is needed to understand the personality of the brand for creating a logo. Unique appeal: what value your real estate brand can provide which cannot be achieved by any other brand. Do you have specific area of speciality? What do you focus on real estate industry? Your audience: ones the key area is established, it is easy identify your audience, identify the targeted audience, income state, age group etc. What should you consider while designing the logo for real estate industry? Once all the necessary informations are collected, it is time to implement it in the form of logo. It is important to incorporate these unique features to make the logo design as the replication of the brand identity. Many real estate logos are seen very minimalistically designed, they are either simple icon or the name of the company. If the intention of the owner is to bring awareness and recognition of the brand in the real estate industry than resorting to simplicity will only work. Using the name of the company as a logo design make people easily recognize the brand and connect to it. 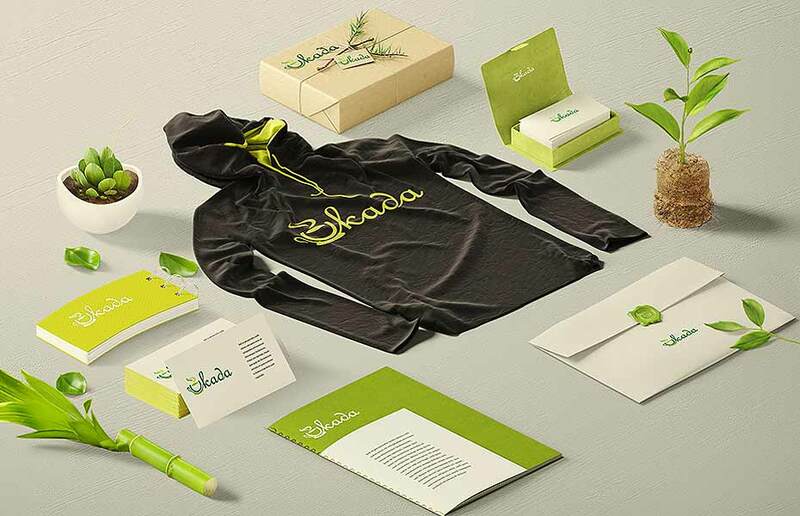 Knowing the essence of the brand can provide immense help in making a logo. It helps in deciding about the colour, font, size etc. Designers from Calendar design services points out that each elements used in logo designing or for that matter in any form of designing should be relevant to the brand targeted. If these elements are not kept in sync with the brand goal, it can mess up the whole personality of the brand making people confused. If all the elements of the logo complement the brand identity, it will be a great way to communicate a unique story to the audiences. Not only your brands identity that matter, it is the perspective of the audience that make it easy for people to interact with the brand. Design a logo that fits well with the expectations of the users and easily convey what your brand can offer to them. We commonly see construction logos generally have common logo designs in the form of house roof, building structure, homes etc. These designs are outdated now to bring spark in your real estate business. Consult designers to get unique logo designs which can be generated with unique pattern of designs. Things like geometrical shapes, origami style symbol can bring a break in the usual patterns, making your logo look attractive to people. Using typography in the logo design is very trendy these days. Using unique typography can work well. You can go ahead in using abbreviations or the initial business names to create unique real estate logos. Make sure to keep the design simple and readable without making it over the top creative which can even backfire the whole process. Usually real estate logos are seen limited with colour but there are no norms in using colours for real estate logo designing. Unless the brand owners does not have specific colour in mind, experimentation with the colour can be done in logos. Colours like blue, grey, rust or brown, black, gold, silver are mainly used to make the logo look professional. Giving a little contrast of colours with these existing colour palate, may enhance the look of your logo and make it unique. 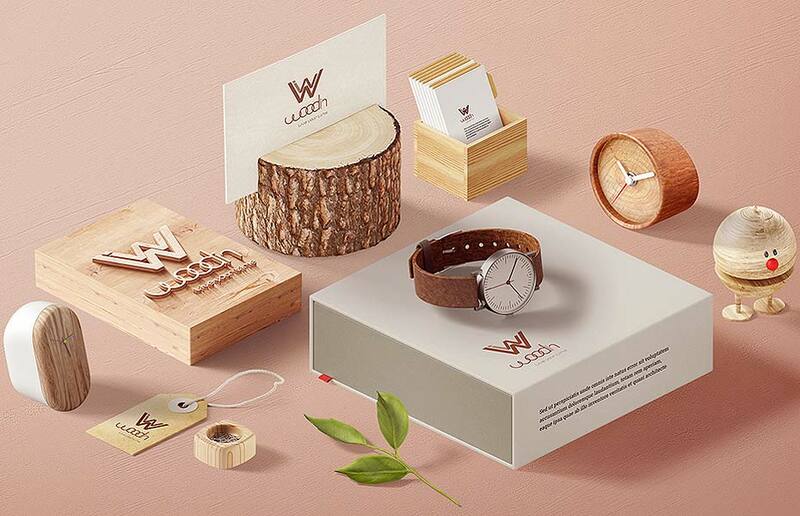 Logo is visibly the first interaction of the brand with its customers. 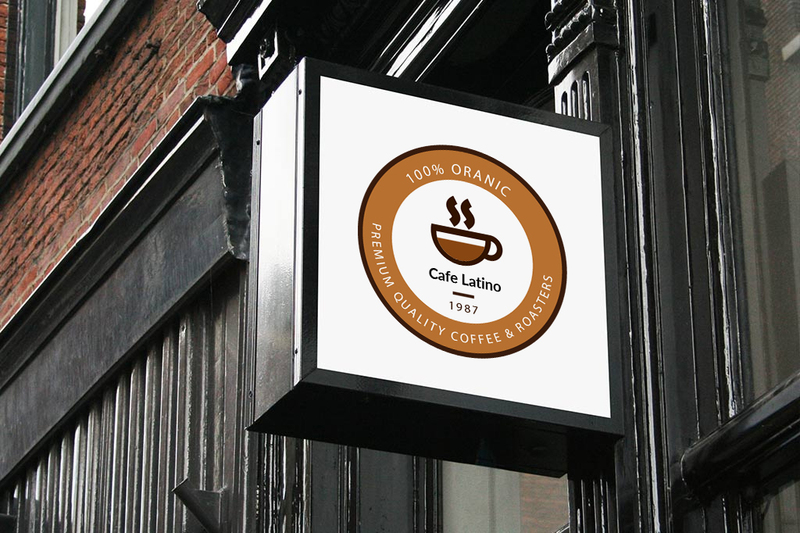 As it is said that first impression is always the last impression, a unique logo can attract the customers in first stance. A unique logo design will be able to communicate with the customers easily, bringing better conversion ratio. There are hundreds of app which are developed on a daily basis but are they all getting place in the app store? Well, may be not! Like any other app store, apple app stores also list some serious rules and regulations for app getting registered in the app store. There are 2 million apps in appstore struggling to make their mark in the customers mind. The competition is so severe that apple is improving its app filtration process even more stronger to allow only the best for its customer base. Apple states strict guidelines that should be met with precision by owners to avoid app rejection. Ios app developers from top app development companies strongly suggest that the business goal of the app such as the purpose of the app, nature, native or hybrid web, user friendliness etc, should be predetermined even more planning to design an app. The most crucial point to keep in mind for iOS app development is never to make any alterations in the tradition iOS user interface. It is to be clearly understood that any deviation in app structure can make the app rejection possible. Therefore, we bring a listing of some points to remember for app makers to get easy access to itunes without any hassle. Apple has a very proficient testing system for the app. It turns down the app easily that crashes or have bugs. Always remember, if your app demands the users to pay for the service, than the app will under minute microscope for validation. Therefore, it is highly important to structure the app in way that has no glitches before it is submitted in the app store for reviews. Make sure to do end to end testing cycle and check each functionality of the app thoroughly. Developers from iphone game development company in jaipur, suggest that always make sure to launch a mobile app version of your web app and make it native. Make sure to use native interface for your iOS app development. Do not create an app that is meant to be just a web app in a hybrid or native package. Never submit the app before finalizing the content which include text and images which needs to be incorporated in the app. Never submit your app for review if its logo, text, images etc are not gelled. iOS app with placeholder content are highly prone to rejection in the app store. Apps designed for digital payments, e commerce etc, should be very easy to use. The function of the ios app should be developed in the most simple way as possible. Users will never be interested in going through several step to complete one function. Make sure to design the flow and functionality of the app should be made user friendly. After all, who wants to wait for ages o load any information. The loading time of the app should be highly active for users to get information in a spurt. Before developing an iOS app, make sure to research about about various versions available in the market and find the version that your app can support. It mandatory to make the app run smoothly and does not get clashed while running on any OS. You can look for supported version of similar apps. It is better to be updated with the latest version of app design and how it will create an effect in the app development. Apple app store is very strict about its users friendly interface. Make sure your UI design should adhere to the norms of apple design guidelines. Any changes in the app UI design which is different from the apple guideline can get your app easily rejected. The description of the app should be made absolutely precise along with the precise screenshot of the app. It should clearly communicate the intended functionality of the app. Doing this would make the customers understand the app’s function easily and provide a good shopping experience. Develop ios apps on ipad or iphone but make sure to update the changes made in the iOS development phase in your screenshots for consistency. This is the most common type of mistake that creates maximum rejection. Not only apple but every app store has strong in policy to foster high customer policy. All mobile apps ask permission from users before accessing their personal information. Be it shopping apps, or any other app, each of them mandatory ask for permission. While you are developing your iOS app, make sure to keep the customers privacy needs at the top of your preference for saving your app from rejection.. There are 2 millions of app available in the app store, if your correlates with existing app, it will surely get rejected. Therefore, before planning an app make sure that your app is offering something unique and entertaining to the users. Make sure to offer something that would compel people to download your app compared to others already available. The name of the app stuffed with keywords should be meaningful and precise. Make sure do not repeat the existing name in your app’s title or keywords. The app name should match to intended use for attracting users. Never ever use content that offends the sentiments or feelings from the individual. Apps with such contradictory content or even slight of this would make your app get rejected instantly. Avoid adding any personal content and use a neutral voice. Make sure to do manual test for the internet usage and battery drain. Keep a check on the battery consumption of the app so that its does not consume maximum of the phone’s battery. Therefore, make sure to do optimization like servicing etc, to keep a check on battery drainage. Also test the internet usage of the app and provide sufficient information while app submission. The app will never be approved if it found to damage the usage of the phone or the tablet. Every company is trying to create its mark in the app world. However, there are only few who are putting their efforts in the right direction. Make sure to invest in the field while keeping apple’s guidelines in the mind. Make sure to keep these points in mind while developing the iOS app. The competition is increasing at an exponential rate. To make a lasting impact on users, would require something special to offer. Animation has emerged as one of the easiest ways to grab that quick attention of the users. People may think about animation and imagine about some entertaining cartoon element but it is not restricted to cartoons only. Web animations are trendy, fun and absolutely user friendly. They can instantly grab the attention of the users and make them interact with the website and the web app super easily. A good web animations are meant to be fulfill aesthetic function as well as pragmatic functions also. This post is dedicated to highlight parts in website and web app design where animation can create a great effect. By visual feedback, it means the capacity of the website and the web apps to respond to users interaction by visual means. Developers from best web development company india, indicate that visual feedbacks are a very engaging concept for users. Animation can prove to be key element in indicating the performance of the users in a given web app or website. Such as the colour the navigation menu colour changes as per the users action which indicated that certain action is taken by the user. Navigation has a major role in making or breaking a website or a web app. A good and easy navigation would also mean better engagement within users which increases the proximity of conversion. But, modern apps and website have complex navigation structure in order to provide multiple facilities. Animation is an effective way to combat the complex navigation layers in to simplified form, making it user friendly. Professional web application development in india suggests that animation is a perfect way to form a structured intuitive web design. Each element in a web design is important and animation help users to understand this purpose easily. There should be connection that should be established within various elements of the website design which make the users understand the functioning of the various elements. Animation provide this opportunity and with its interactive, fun ways teach the users about the app or the website. Animation is also used for giving visual hints to emphasize on certain aspect of a menu option or help users to navigate on site. These visual hints can help in directing the users towards the needed call to action button without looking too sale pushy. Search bots give strong emphasis on the loading time of any app or website. But what about those seconds on which the app or website page loading. Animation can be a great way to cover up these seconds to keep the audience interest intact within the web app or in the website. Loading animation kill this loading seconds into something which is a worth watch. While animation can bring a great result for your website or app, a bad animation can ruin that completely. Unwanted visual elements tends to complicate things rather than making it simple. The animation should be made keeping in mind the usefulness of it. Fine animation features highlight basic features, improve the usability of hidden or controversial menu and help in creating a recognizable brand. Animated galleries and slideshows tend to show multiple images without distracting the user. The rate at which these images change has a lot of significance. A little slow or faster rate of image change can make your website or app look rushed for users. These galleries and slideshows are helpful as they project real life photo albums functionality. A simple page motion sometimes adds that extra delightfulness in your app or website design. Imagine it as some extra sprinkle of oregano on your pizza! Page motion animation has no direct benefit but yes, that grabs the attention instantly. While using page motion be careful of using extra loading items that may cause the site to become slow. Animation has always proven its mirth in every medium. Due to the diversity that it can offer, animation will stay for ages in the designing industry. These animation types stated above, when incorporate in various elements of website and web app design can create a great engagement level among users. Sitting in front of a tv for watching a live cricket or football match is now a difficult task for most of the people who are working and travelling day and night. But does it take them away from enjoying the thrill of watching a great football or cricket match? Today, anybody can watch their favourite shows just a click away in live video streaming apps. The most enjoyable features about live streaming apps is the fact they provide unlimited entertainment without any hindrance. Apps developers in Android application development firms points out that live streaming apps are not only restricted to entertainment but are also used for business and personal use as well. For instances, it can be used in live video conference, offering live video tutorials,training programmes and many other purposes. Having such vast arena of usability, development of live streaming apps has increased along with the increase in audience ratio. Apps for live broadcasting is meant to showcase live events straight from the venue. Live broadcasting can be assessed by users who have subscribed a given channel. They have small storage facility, hence, they are deleted after a while. Apps for video streaming has no storage limitation. This means the videos are saved in the app server and users can play them by their own wish. What should consider before developing a live streaming app? It should be accessible to audiences: developers from iOS app development company in jaipur suggest that the backend of the live streaming app should be made highly accessible to cater the demand of the audience. Live streaming apps are extremely popular, hence, the usability of the app should be a concern for developers. Must support all video formats: The live video streaming app should support all types of file formats so the users can easily watch the videos. Securing the uploaded videos: Pirated videos or plagiarized videos can create a huge problem with copyright infringement, therefore, developers will have to make certain aspects of function to protect the app. What kinds of features should be implemented in a live video streaming app? User registration is the first step in a live video streaming app. They should be provided with option for registration like through email or mobile number using OTP verification. Beside this registration through social media can also be a great and easy registration option for users. The next important feature in a live video streaming app is to create a platform where users can provide their personal information in the form of user profile. The informations include name, email address, mobile number, prefered video genre such as sports, events, fashion etc, subscription list and many more! The developers will have to provide a search box in order to get the users find their favourite videos from a specific category. The search category should be broad based on internet, age, location, language of the broadcast, number of views and all. This features holds a very significant position in video streaming. The popularity of a video increases by the number of strength watching it and provide feedbacks in the form of rating or reviews. Internet has brought the essence of viral videos with it. Videos often go viral with the help of rapid sharing process done by social media platforms. Therefore, providing a valid sharing features is a must for live video sharing app. Adding geolocation tracking is an essential component of live video streaming app. It helps to find and trace the location of the broadcast. For instance, facebook live which uses current location while broadcasting the app. Live video streaming apps is the need of the hour! People remains connected with the world not only by television but with a much hightec technology of live broadcasting. These apps are not only providing entertainment but also giving enough benefits for business purposes as well. Searching For Right Type of Logo Design: Which Type Of Logo Design Suits Your Business? Logos are meant to be the representative of any business. This is the most celebrated form of graphic design that catches the first glimpse of the customers and create relationship instantly. From being a business symbol to becoming the brand identity, logo has many folds hidden inside it. 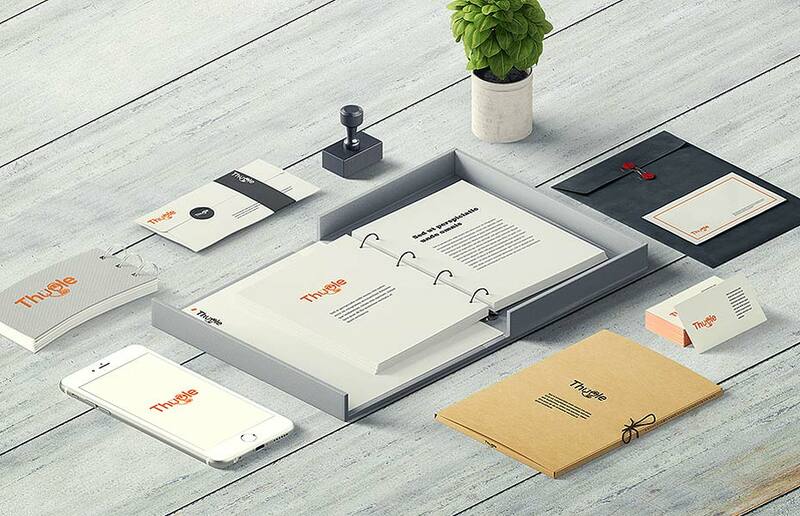 When a business is about to start, the first thing which is needed is a memorable logo for the business. Logo being the primary need in the starting of the business because it speaks on the behalf of the business,creating a brand identity. People recall business by looking at the logo in advertisements, products, market places etc. Looking at the high usability of the logo, it is important to make it impressive and memorable that suits with the brand message and enhances the look of the products. Your business logo should fulfill the expectation of the customers and explain about your business usability to them. There are many types of logo design that are available but which design to suit your business type is a point to discuss. The design type of the logo will have to be similar to the brand’s identity to create a good sync. This post is dedicated to discuss about various type of logo design available for businesses. Lettermarks logos are also known as monogram logos. These logo are used with the initials of the company name such as IBM, CNN, BBC etc. 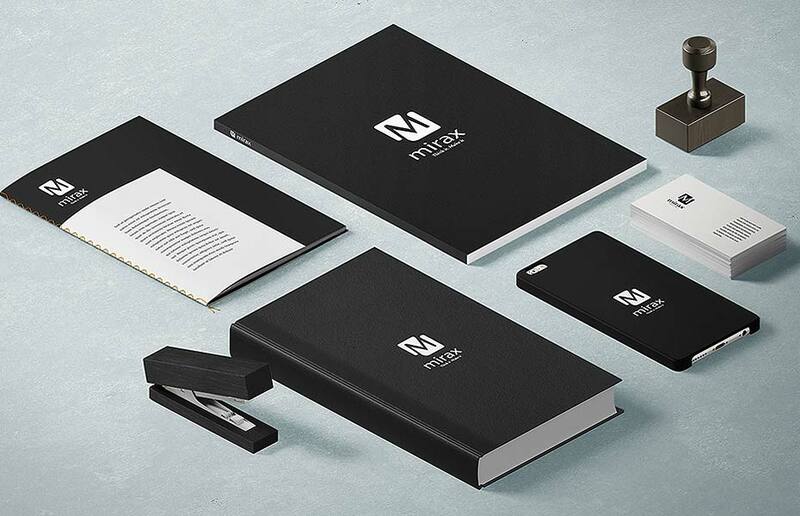 The idea of using letterhead logo is to shorten up the name of the company and create a brand identity. Professionals designing business logo design india, believe that landmark logo use clever usage of typography to shorten up a company name and create a simple yet effective logo. Experts suggest, if the name of the company is too long, they can be shortened to make lettermark logo which are highly useful. Wordmarks are also known as logotypes. Wordmark logo are based on the name of the business. Some of the best examples of wordmarks are Coca-Cola, Cadbury, Frooti, Google etc. business with distinctive name should go ahead in using wordmark in the logo. These logo are helpful in speaking precisely about the business. Experts designers involved in logo designing in india believe that the focus of the designers should be on selecting a typeface very carefully for creating a wordmark logo for the company. Creating a unique font for wordmarks logo can be great way to create a distinctive position of the brand among competition. These are graphic based pictorial logo design which are quite popular in market. The biggest example is twitter or apple which has logo symbol as their logo for the business. For startups using pictorial symbol can be difficult as their brand identity is not yet firmly established. While using logo symbol, it should be kept in mind that the symbols should be impressive and relatable with your business. The symbol designed for the logo would stay with the company for ages, hence, it should be selected very carefully. An abstract design is a specific pictorial design which is different from recognizable pictures. This type of logo design use abstract geometrical forms to create logo. Pepsi with divided circle is the biggest example of abstract logo. This kind of logo is beneficial when designer intend to condense a brand name into single image. These logo are highly creative in explaining the purpose of the business indirectly. Do you want to create your own brand person? In this case, mascot logo are just the ideal for you. KFC is the most popular example of mascot logo. This kind of logo helps to create a character to represent the company or brand. These character then becomes brand ambassadors of your company. Professionals from invitation card designing services across various parts of the world echoes to the fact that, mascot logo has a great contribution in making the brand hot favourite among people. The marketing stuff with mascot logos are seen more engaging among people as compared to any other type. 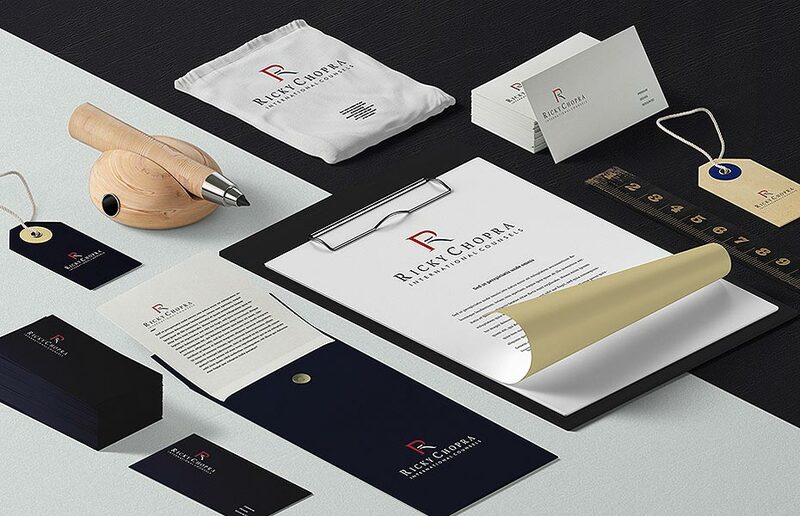 Not only engaging, mediums like banners, flex, invitation cards, business cards etc, used for business marketing gets a very unique look due to a distinctive logo. Combination logo uses the amalgamation of watermarks, abstract logo, watermarks etc . In these logos, designers use pictures and text simultaneously. A combination logo is versatile choice of logo design for building a strong brand image. Mascot, text, symbol etc, together create a great difference in the look of the logo. People gets connected with different elements of the logo making easy for brand to establish a relation. Which logo type should suit your business has many factors of consideration. The brand message and brand personality has a major role in deciding the best logo design type.